Exquisite Midcentury Modern custom home with delightful and unique architectural design, originally conceived by famed designer Marco Wolff Jr. for his cousin Wally Wolf and his family. Marco collaborated with renowned architect John Lautner throughout Los Angeles. 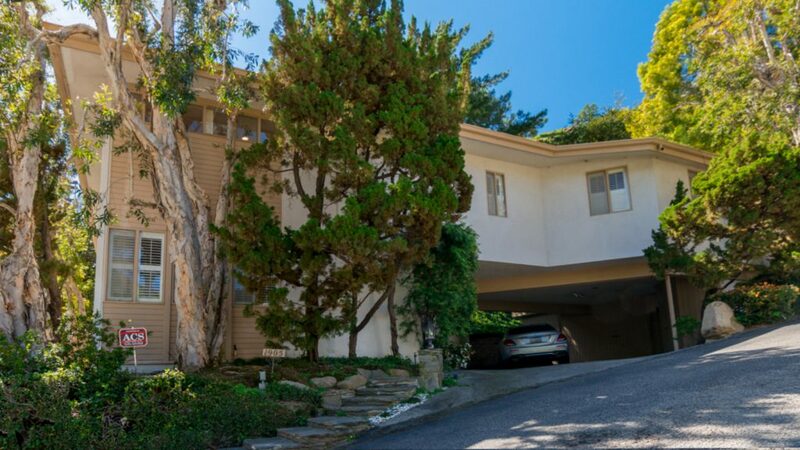 (Lautner designed the famed Wolff Residence for Marco in 1961.) House has been meticulously maintained and updated by its current owner of over 45 years. Custom finishes include travertine in the living room, entry and kitchen, beautiful oak hardwood floors, hand crafted railings in the stairwell, bouquet canyon stone on the fireplace and outside finishes. This is truly a home to entertain guests, with its full sweeping wet bar, to the tranquil private patio area surrounded by mature lush landscaping. Two additional storage rooms. Larger room could be used as a studio. Five minutes from the Beverly Hills Hotel and close to Coldwater Canyon Park, Beverly Hills jogging track and Franklin Canyon hiking trails. In the coveted Warner Ave Elementary School District. Move right in!